The countdown to tax season 2019 is over. The last week of January signalled the start of scrambling for lost invoices, deciphering tons of legalese with a dollop of financialese, and wondering about the difference between Forms 941 and 944. This year, there are added insecurities. How does the Tax Cuts and Jobs Act affect my taxes? How are we filing any taxes during a government shutdown? Fear not. Tax season 2019, like all others, will come to an end. 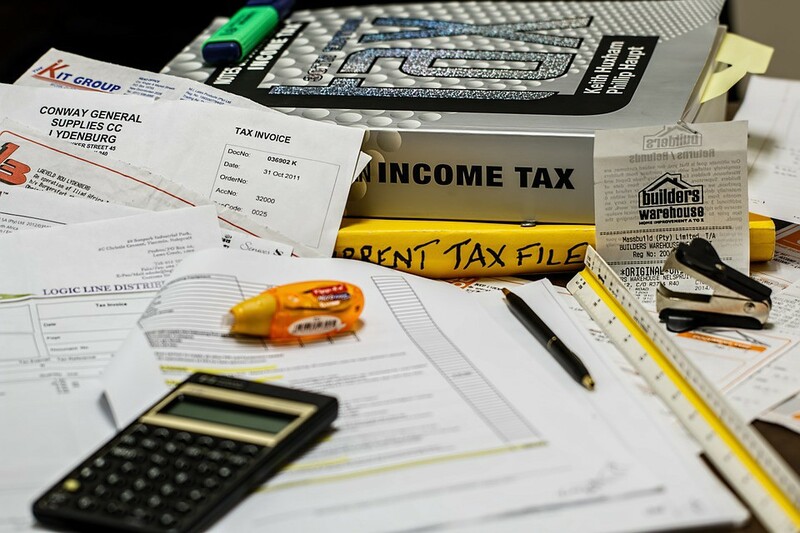 Here’s a survival guide with all the essential information you need in order to file your taxes. Tax season 2109 starts on January 28. Despite the government shutdown, the IRS will process all tax returns as usual (no getting out of this one, I guess). Tax day for most American taxpayers falls on April 15, unless you live in Massachusetts or Maine. In that case you’ll have an extra two days to agonize over your forms and return them on April 17 because of a legal holiday. Of course, these deadlines concern your individual tax return. But what about your business taxes? Depending on the type of your business, you may have to file earlier. Sole-proprietors and single-member LLCs share the April 15 deadline with ordinary taxpayers. In fact, if your business falls into this category, you have to file your business and personal taxes together. If you need more time, you can apply for an extension until October 15. But you’ll need to have a good reason for that (“the dog ate my papers” won’t cut it this time). Partnerships, multiple member LLCs and S-corporations have to get down to it a bit faster, as their deadline falls on March 15. If you apply for an extension, you’ll have until September 16 to get everything ready. As with deadlines, different types of businesses have to fill out different tax forms. Since sole proprietors and single-member LLCs file their business and personal taxes together, you’ll need to fill out Schedule C, a part of your regular Form 1040. Schedule C is used for reporting any profit or loss you’ve had from your business. Partnerships and multiple-member LLCs have to file their taxes on Form 1065. In addition, each partner needs to fill out a Schedule K-1 form to report their individual share of income from the business. S-corporations have to file their taxes on form 1120 S. Similarly to partnerships and multiple-member LLCs, S-corp shareholders have to fill out a Schedule K-1 as well to report their share of income. Beware that although the name is the same, the two forms are not interchangeable. Make sure you fill out the right Schedule K-1 form that corresponds to the type of your business. Since it’s 2019 and not 1950, you have the option to file your taxes through software. Besides the obvious advantages (faster, no handwriting, doesn’t get lost in the mail), tax software can help you maximize your return and point out potential mistakes. Platforms like Intuit TurboTax, H&R Block, ONESOURCE, or TaxAct can help you save time, worry, and money. And who wants to spend more of those on filing taxes? Filing taxes is nobody’s favorite pastime. Take a deep breath, get all your paperwork ready, and get started. You’ll get through it. But if you feel overwhelmed, it’s not too late to ask for help from a tax professional. It’s up to you how you want to handle it. The main thing is: once you pressed “enter” for the final time, tax season 2019 will be over for you. We believe in the power of small business. We believe in their initiative as they embrace the digital world and the global. At Veem, we're helping small businesses do what they do best: grow.